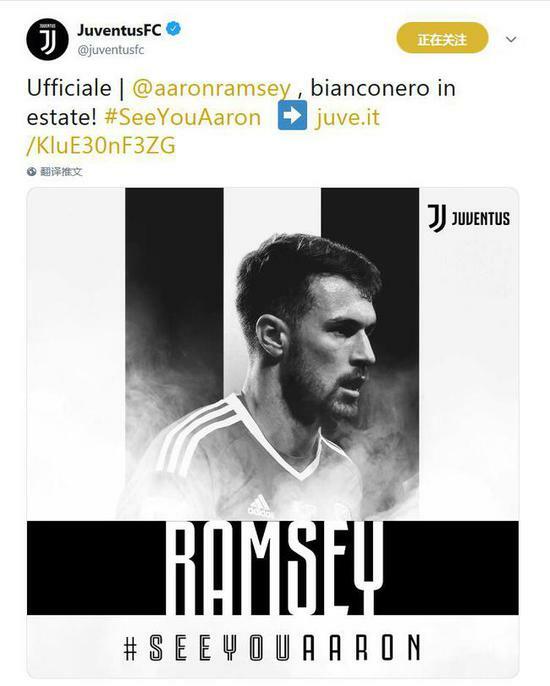 LONDON, Feb. 11 (Xinhua) -- Welsh midfielder Aaron Ramsey confirmed on Monday that he will leave Arsenal at the end of the season to join Italian champions Juventus. The 28-year-old has agreed a pre-contract deal with the club to join the Italians on July 1 for four years on a wage rumored to be worth 325,000 pounds a week (1 pound equals 1.29 US dollars) a week. Ramsey had been expected to leave Arsenal since last autumn when talks between the player and the London based club broke down, leaving him free to negotiate with other clubs from January 1. The player confirmed the news of his imminent departure in a post on 'Twitter' in which he said he "wanted to issue a personal statement to all of the Arsenal fans who have been extremely loyal. You welcomed me as a teenager and have been there through all the highs and lows," said Ramsey, who added he would "continue to give the team 100 percent and hope to finish the season strongly." Ramsey has made over 250 league appearances for Arsenal and scored 38 league goals.